502 results. Displaying results 61 - 80. 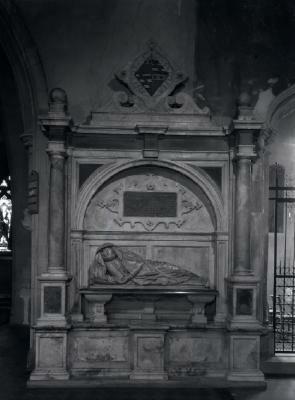 Negative of the Periam Tomb, Henley on Thames. A George Bushell Collection (Part of negative set number 85 in George Bushell's notebook] George Bushell came to Henley in 1919 and took over the task of taking photographs of Henley and its surroundings from two predecessors, called Marsh and Marshall. Bushell died in the 1960s but his business was carried on by his son and grandson. 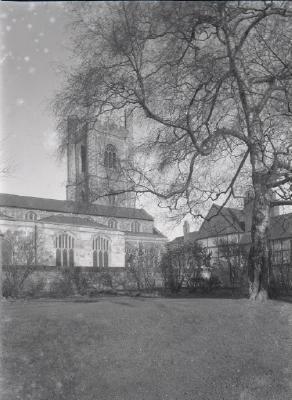 It is his grandson, also called George Bushell, who has donated this important collection of photographs and glass plate negatives to the Museum. This unique collection provides a fascinating view of the changing face of Henley and the Thames over the last century. 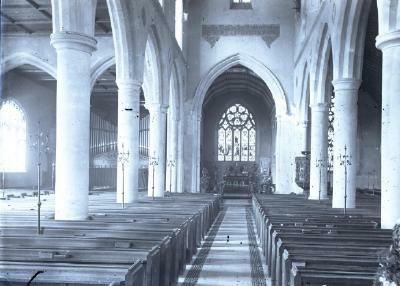 Glass Plate negative of inside Henley Church, Henley on Thames. A George Bushell Collection (Part of negative set number 86 in George Bushell's notebook] George Bushell came to Henley in 1919 and took over the task of taking photographs of Henley and its surroundings from two predecessors, called Marsh and Marshall. Bushell died in the 1960s but his business was carried on by his son and grandson. It is his grandson, also called George Bushell, who has donated this important collection of photographs and glass plate negatives to the Museum. This unique collection provides a fascinating view of the changing face of Henley and the Thames over the last century. 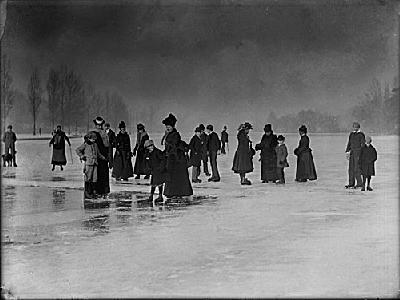 Glass plate negative of Winter: A.D. 1895. A George Bushell Collection (Part of negative set number 90 in George Bushell's notebook] George Bushell came to Henley in 1919 and took over the task of taking photographs of Henley and its surroundings from two predecessors, called Marsh and Marshall. Bushell died in the 1960s but his business was carried on by his son and grandson. 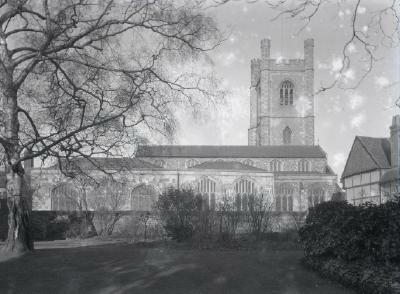 It is his grandson, also called George Bushell, who has donated this important collection of photographs and glass plate negatives to the Museum. This unique collection provides a fascinating view of the changing face of Henley and the Thames over the last century. 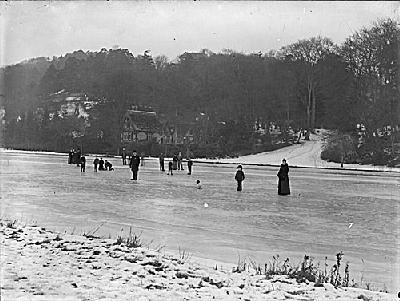 Glass plate negative of Skating, Happy Valley. A George Bushell Collection (Part of negative set number 91 in George Bushell's notebook] George Bushell came to Henley in 1919 and took over the task of taking photographs of Henley and its surroundings from two predecessors, called Marsh and Marshall. Bushell died in the 1960s but his business was carried on by his son and grandson. It is his grandson, also called George Bushell, who has donated this important collection of photographs and glass plate negatives to the Museum. This unique collection provides a fascinating view of the changing face of Henley and the Thames over the last century. 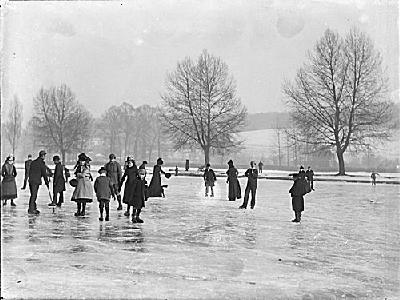 Glass plate negative of Feb 15th 1895, skating. A George Bushell Collection (Part of negative set number 93 in George Bushell's notebook] George Bushell came to Henley in 1919 and took over the task of taking photographs of Henley and its surroundings from two predecessors, called Marsh and Marshall. Bushell died in the 1960s but his business was carried on by his son and grandson. It is his grandson, also called George Bushell, who has donated this important collection of photographs and glass plate negatives to the Museum. This unique collection provides a fascinating view of the changing face of Henley and the Thames over the last century. 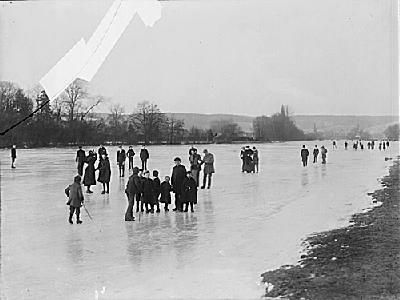 Glass plate negative of ice skating, February 1895. A George Bushell Collection (Part of negative set number 92 in George Bushell's notebook] George Bushell came to Henley in 1919 and took over the task of taking photographs of Henley and its surroundings from two predecessors, called Marsh and Marshall. Bushell died in the 1960s but his business was carried on by his son and grandson. It is his grandson, also called George Bushell, who has donated this important collection of photographs and glass plate negatives to the Museum. This unique collection provides a fascinating view of the changing face of Henley and the Thames over the last century. 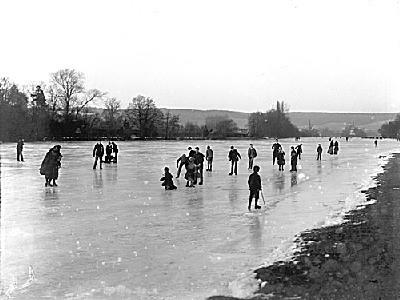 Glass plate negative of skating on ice, Feb 15th 1895. A George Bushell Collection (Part of negative set number 94 in George Bushell's notebook] George Bushell came to Henley in 1919 and took over the task of taking photographs of Henley and its surroundings from two predecessors, called Marsh and Marshall. Bushell died in the 1960s but his business was carried on by his son and grandson. 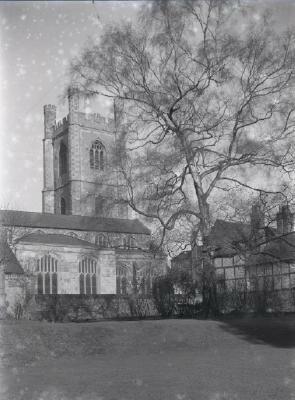 It is his grandson, also called George Bushell, who has donated this important collection of photographs and glass plate negatives to the Museum. This unique collection provides a fascinating view of the changing face of Henley and the Thames over the last century.